Victorian celebrity, Scotsman, missionary doctor, abolitionist, capitalist and explorer of Africa, 2013 marks the bicentenary of David Livingstone's birth. Toto Tales specialises in African forms of storytelling and presents some of the notable episodes in Livingstone's life from the perspective of his two servants Chuma and Susi. 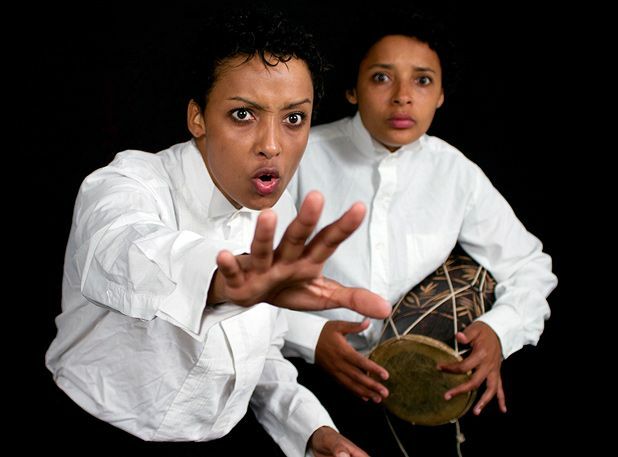 Sisters Mara and Isla Menzies play a multitude of characters, bringing them to life using costumes, percussion, song and, in the case of Livingstone, a comedy Scottish accent. Engaging storytellers, they switch between dramatic and comedic with minimal effort, their haughty princess a particular hit. No staid biography, this is a dynamic performance and enthralling to watch. Amid the fights with lions and diplomatic slip-ups, the story keeps circling back to the ethics of slave-owning, which are debated by many different characters and Livingstone's advocation of commerce as the solution is presented. The show is pitched well at upper primary and lower secondary ages and, side-stepping didacticism, opens up many talking points. There is also a Livingstone exhibition at the National Library of Scotland to further enliven enquiring minds. National Library of Scotland, 226 0000, until 21 Aug, 4pm, £10 (£8). Toto Tales presents a fascinating storytelling performance all about David Livingstone told from the perspective of the African people who knew him best. Ages 7+. Dress for the weather.